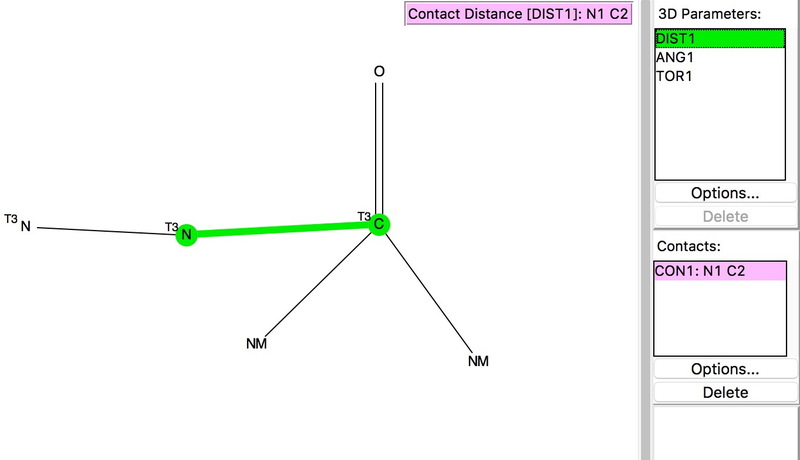 The search query is shown above and involves plotting the distance from the nucleophilic atom (N above) to the carbon of the carbonyl group. The carbon is defined as having 3-coordination, one of which is O=C and two non-metal attachments. The torsion is constrained to values of |70-110|° to ensure that the approach of the nucleophile is approximately perpendicular to the plane of the carbonyl in order to overlap with the π*-orbital as electrophile. The pairwise sums of van der Waals radii are NC, 3.25; OC, 3.22 and SC, 3.5Å and the plots show all contacts shorter than these. The results of the searches are shown below. The general observation is that the red hotspots do tend to come at trajectory angles of <100° and many are <90° such as the X=Y=N or X=Y=S examples. 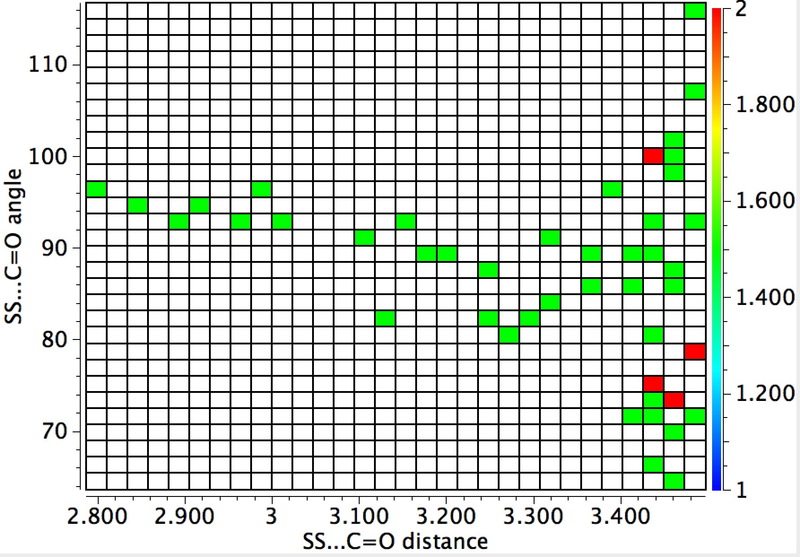 Given that the original Bürgi–Dunitz hypothesis (actually based on a small number of molecules synthesized for the purpose) proposed rather larger angles (105±5°) corresponding to optimum alignment of the nucleophile with the carbonyl π*-orbital, we might speculate whether the use of enhanced nucleophiles is the reason for the apparent decrease in the angle. And if so, what the underlying reasons would be. I also cannot help but observe that the term supernucleophile is quite rare in the literature; SciFinder gives only 45 hits, but most are about neither hydrazines nor peroxides. 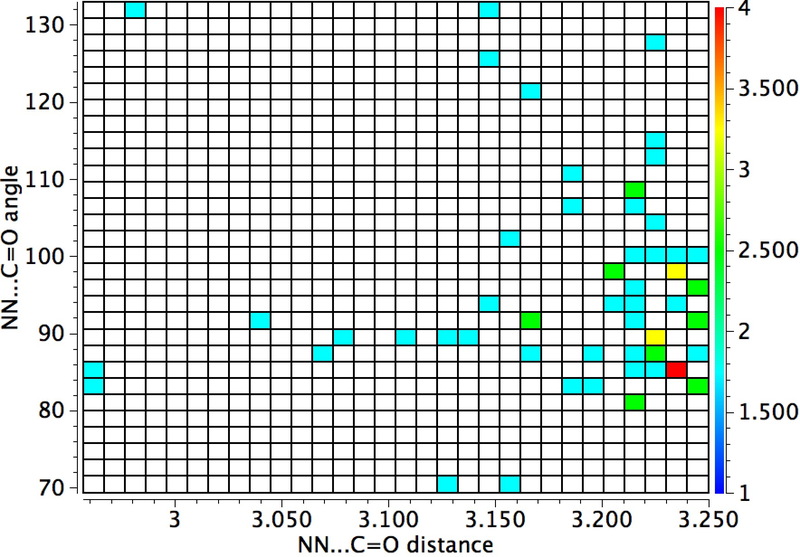 There are also some unusual nucleophile varieties such as Cob(I)alamin, of which there are probably insufficient examples to reflect in the crystal structure statistics shown above. Given the interest in superbases, the relative lack of examples of unusual supernucleophiles seems surprising. This entry was posted on Wednesday, May 11th, 2016 at 1:00 pm and is filed under Chemical IT, crystal_structure_mining. You can follow any responses to this entry through the RSS 2.0 feed. You can leave a response, or trackback from your own site. This is an interesting result although I rather liked the implications of Bürgi and Dunitz. 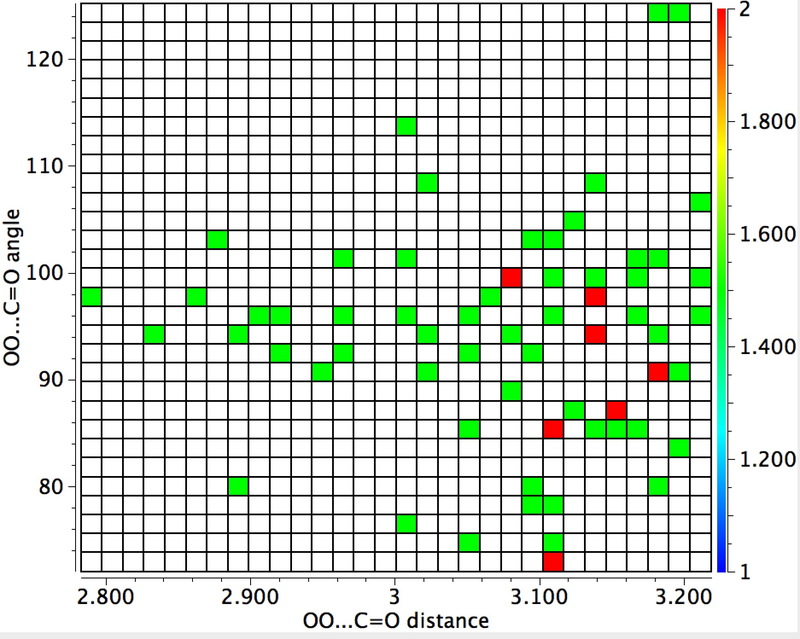 I do wonder if other carbonyl groupings show the same result. Certainly, I’d argue that there is considerable sp2 character to the C-N bond of dimethylformamide. If so, are these ureas good examples of an sp2-carbonyl group?